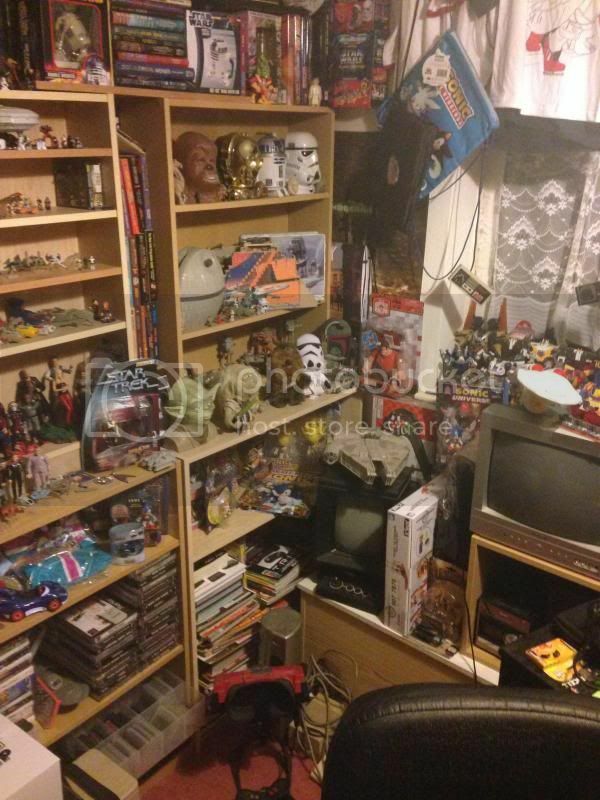 Photo's of your retro collection. 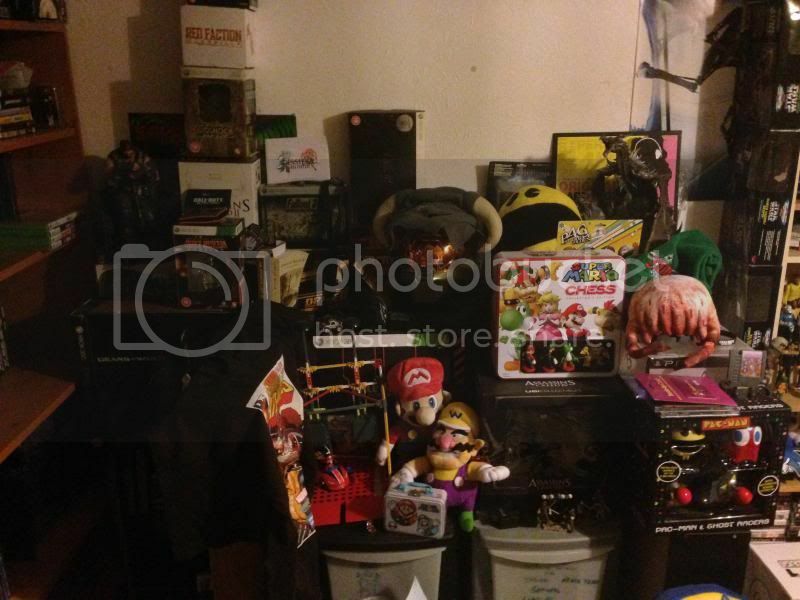 Re: Photo's of your retro collection. ^^'tain't always gotta be big to be worthwhile......so my missus says, anyway Sweet as a nut mate. You deffo seem to gravitate towards white spines though, huh? nokgod wrote: ^^'tain't always gotta be big to be worthwhile......so my missus says, anyway Sweet as a nut mate. 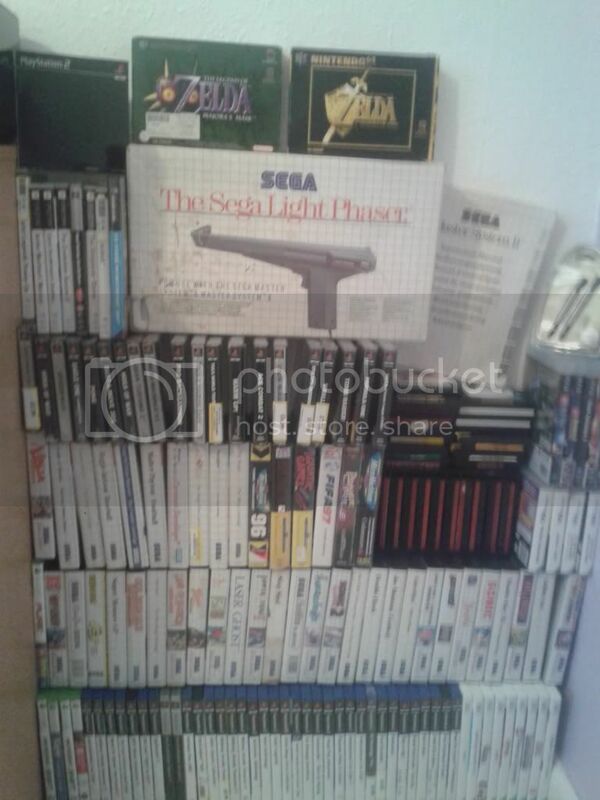 My current shoot em up only collection (think a few wii games sneaked in at the bottom right). 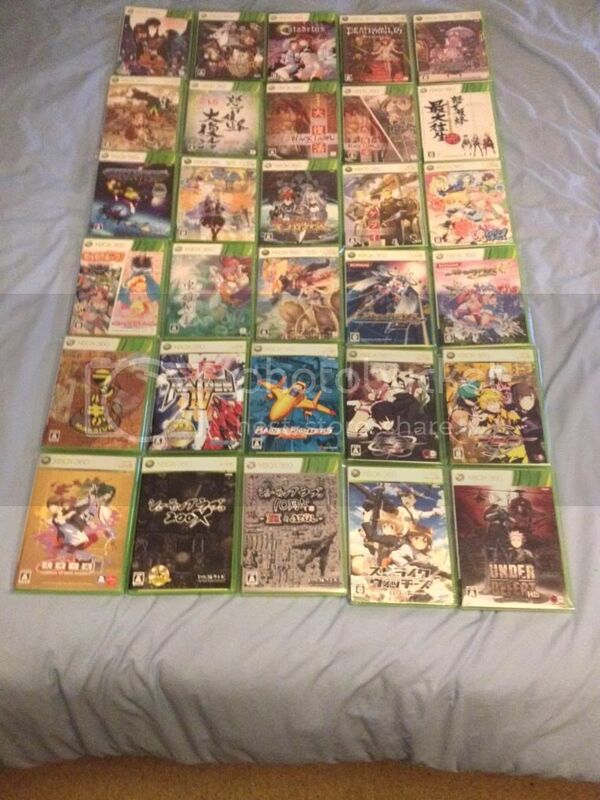 I trimmed this collection down by over 50+ games at the end of 2013. 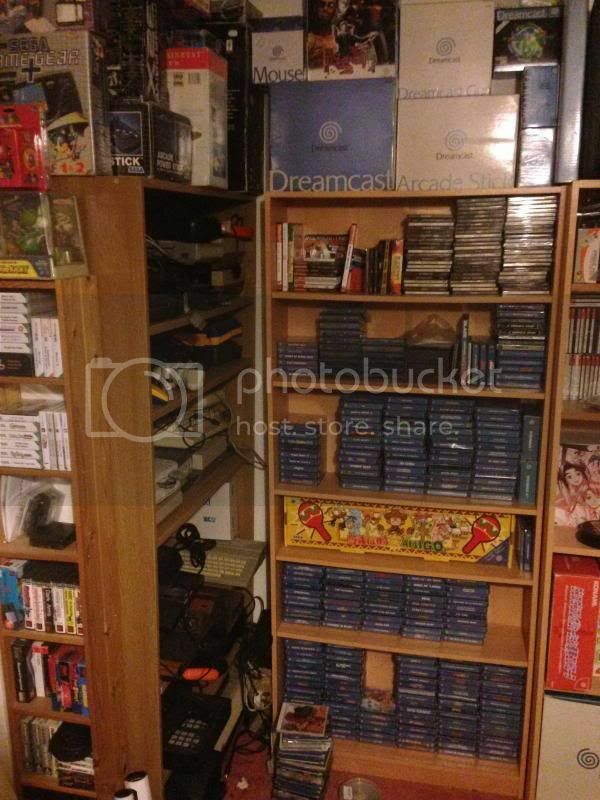 Alot of PAL and US games went or are up for sale and loose carts. 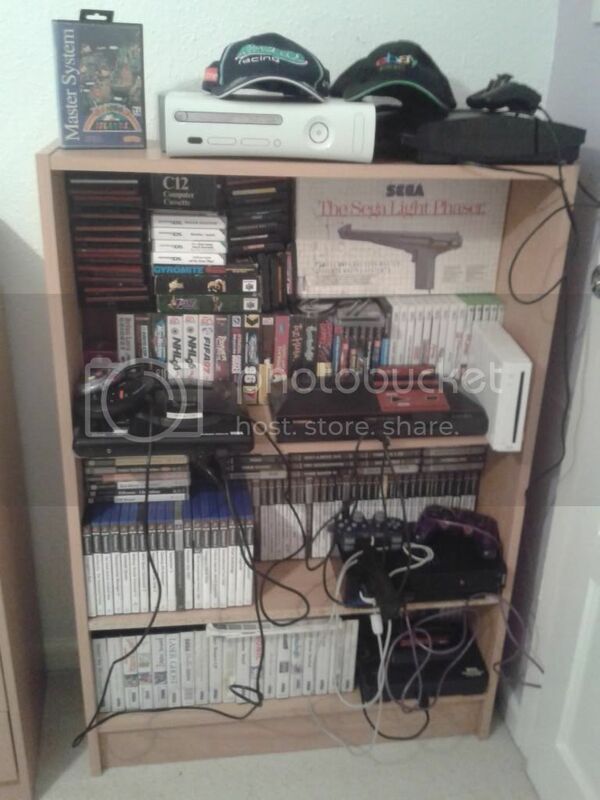 The 360 and Master System collections are 100% complete to my knowledge, but i've removed the compilation discs eg. Namco Museum etc. 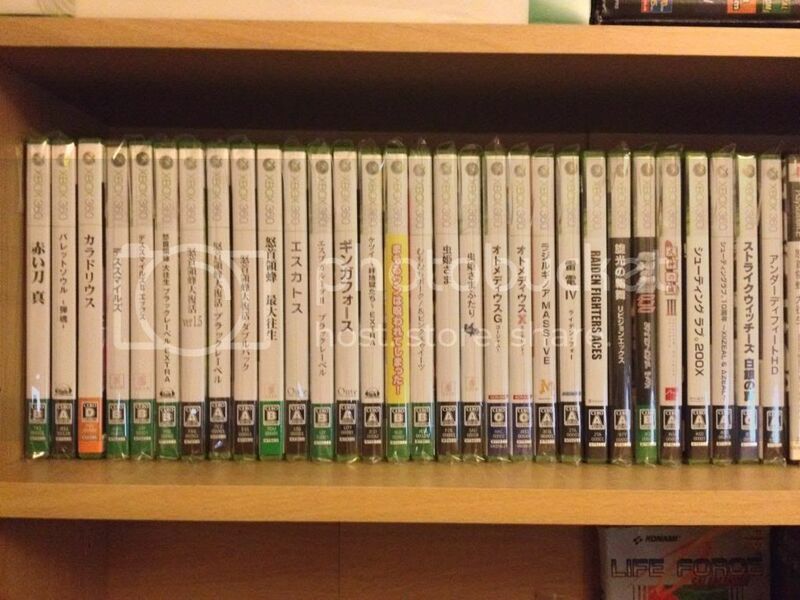 Pics of the complete 360 collection to present day. Cool to see them all together. 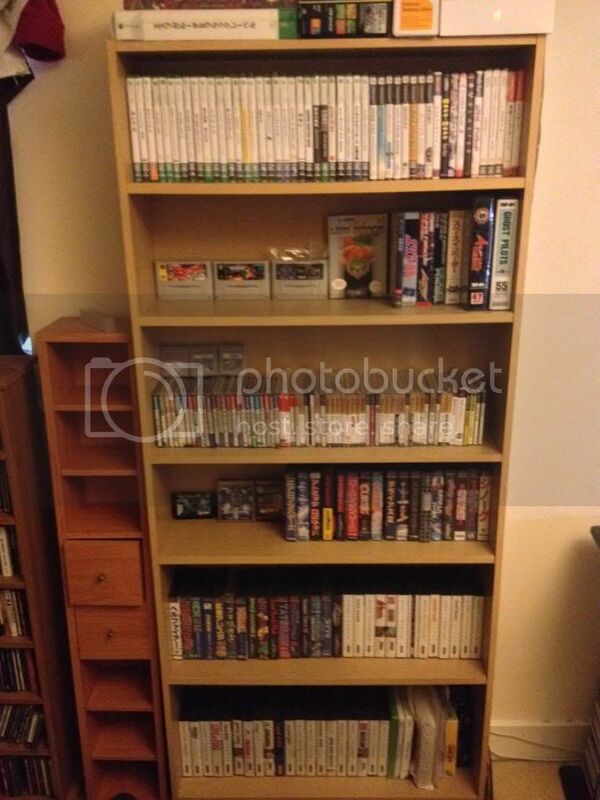 I still have the consoles and hundreds of loose carts to photo...eek. 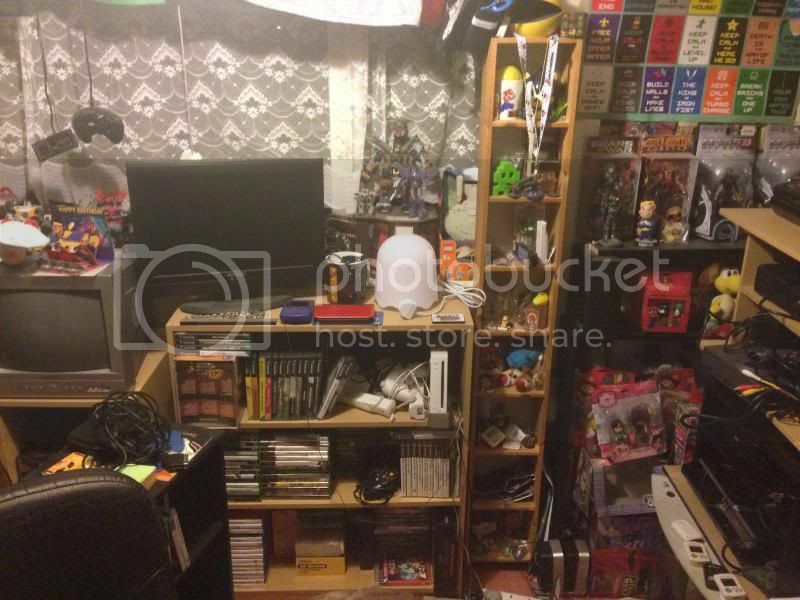 I had no idea I actually had so much stuff up there! 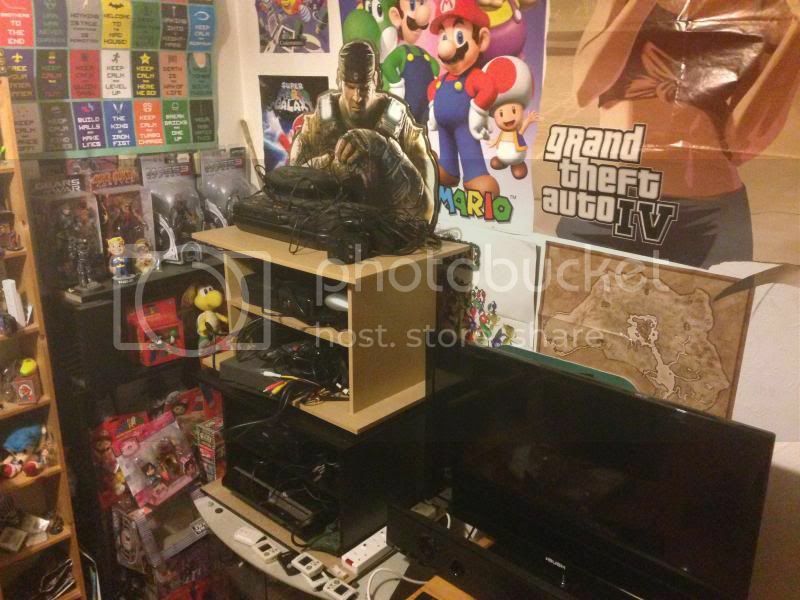 It's been a while since I posted pics of my room, so here goes. In the process of a bit of a change round, which is why there's so many wires everywhere! That sfc double dragon looks nice........it's been on my radar for a while, but just can't seem to pick it up at the right price! 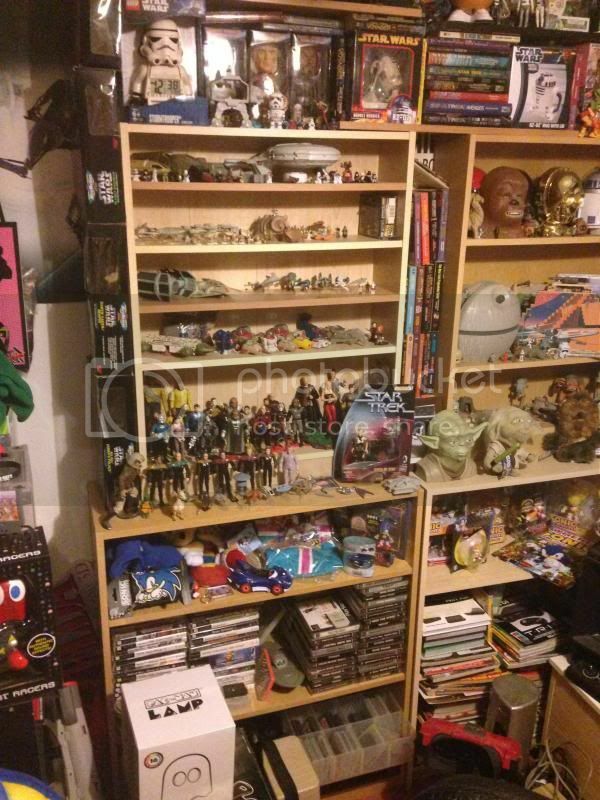 Re: Photos of your retro collection. Where's the Spectrum & C64? This used to be a massively popular thread. 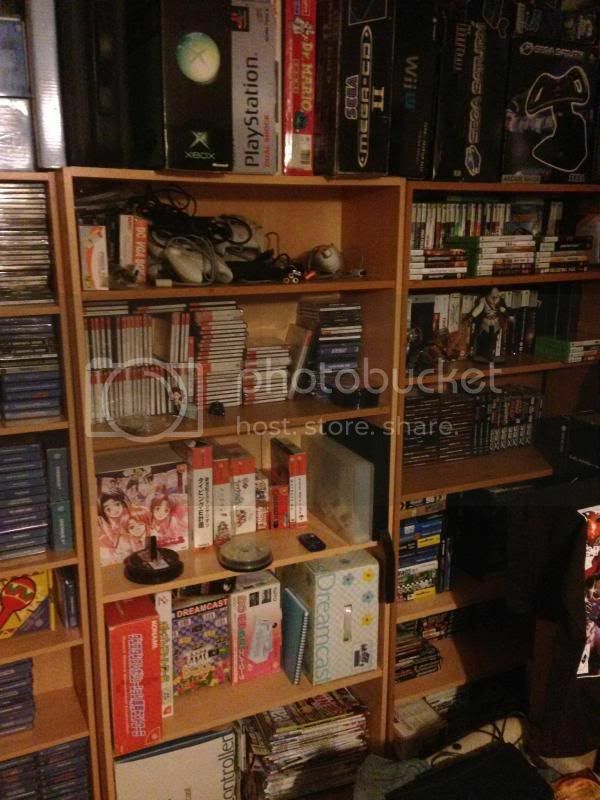 In the very early stages of making a new games room in my new house. Won’t be as much retro as old though. I forgot how lively this forum used to be.